Train-assisted ride from Richmond back to Kilburn/West Hampstead taking in Syon, Osterley and Gunnersbury Parks. Includes short links on the Grand Union & Regents Canals. Train-assisted ride from Richmond back to Kilburn/West Hampstead taking in Syon, Osterley and Gunnersbury Parks. Includes short links on the Grand Union Canal past the Hanwell Locks and on the Regents Canal from Harlesden to Maida Vale. Reasonable surface on towpaths. All three parks have cafés or you can bring your own lunch, etc. Meet at Sidings Community Centre, Brassey Road, NW6 2BA at 9:40am. Leave Sidings at 9:50am to catch an Overground Train to Richmond. Or meet at Richmond Little Green (in front of the Theatre) at 10:30am. We will aim to leave Richmond at 10:50am. About 24 miles cycling, not strenuous; back about 4:30pm. See likely route here. As there is no service on the Overground Line between Willesden Junction and Camden Road (via West Hampstead). A special train service operates between Willesden Junction and Stratford, calling at Kensal Green, Queen’s Park, Kilburn High Road, South Hampstead, Camden Road and all stations. 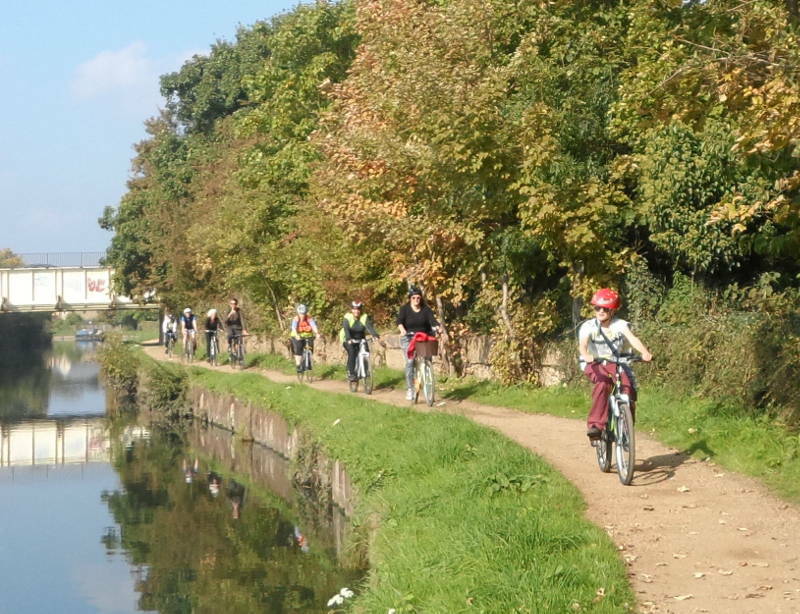 We will still meet at Sidings as planned and cycle to Willesden Junction to catch the Richmond train there. Those of you from Camden can get the train to Willesden Junction and change. As this will add on some time we will wait at the Richmond Little Green till 10:50. Please call 07788 202489 if you need to meet us there or en route. This ride is dependent on reasonable weather and the Overground line being operational. Check this site for any updates and take the contact details below in case of changes.